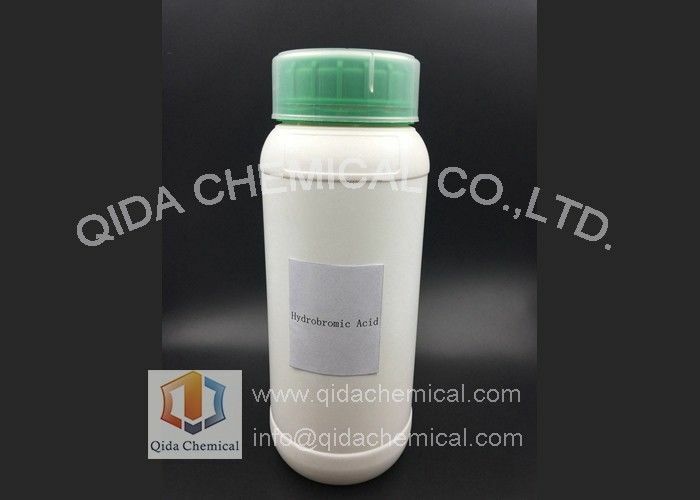 Hydrobromic acid is a strong acid formed by dissolving the diatomic molecule hydrogen bromide (HBr) in water. "Constant boiling" hydrobromic acid is an aqueous solution that distills at 124.3 °C and contains 47.6% HBr by weight, which is 8.89 mol/L. 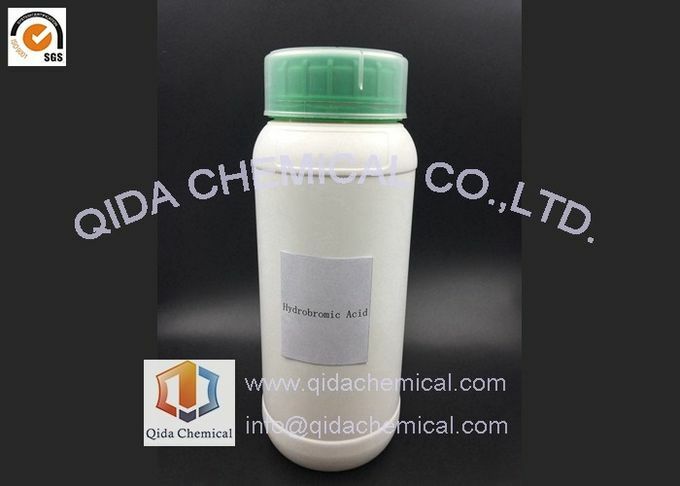 Hydrobromic acid has a pKa of −9, making it a stronger acid than hydrochloric acid, but not as strong as hydroiodic acid. 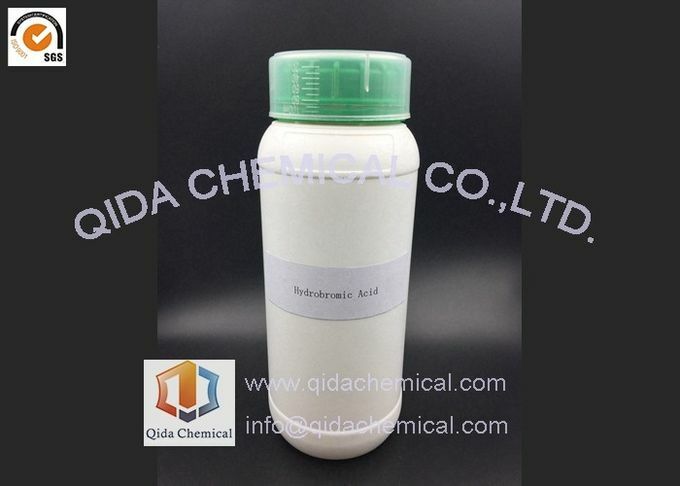 Hydrobromic acid is one of the strongest mineral acids known. Main Content % 48.0 Min. Heavy Metal(Pb) (ppm) 5 Max. 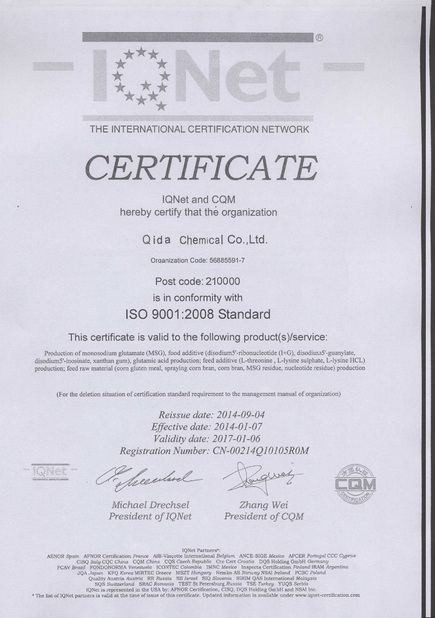 Mainly used to produce every kind bromides, especially the bromides of zinc, calcium, and sodium. It is a also can be used as reagent for generating organobromine compounds. Certain ethers are cleaved with HBr. It also catalyzes alkylation reactions and the extraction of certain ores. Industrially significant organic compounds prepared from hydrobromic acid include allyl bromide, tetrabromobis(phenol), and bromoacetic acid. 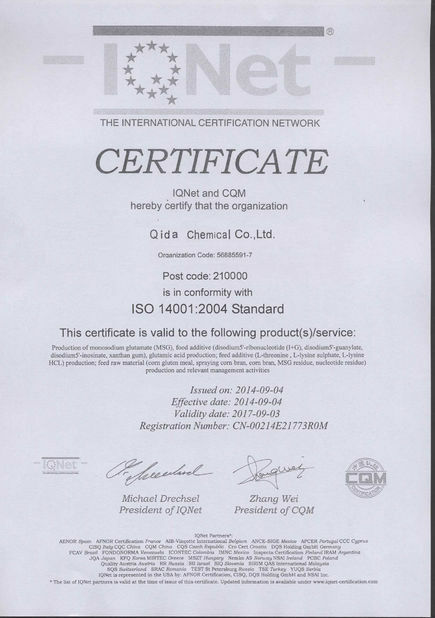 In oil industry, it is used as alkylation catalyst. It is useful in medicine, dye and spice industry. In medicine usually used as sedatives and anesthetics etc.